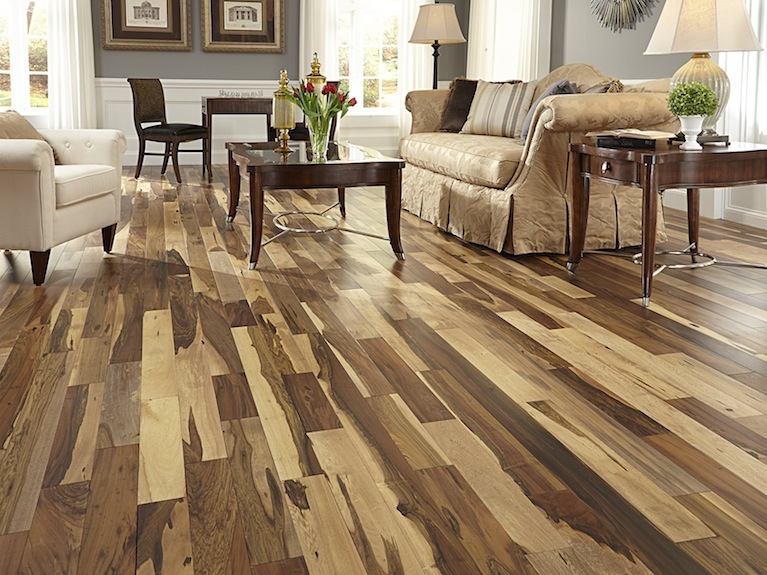 Lumber Liquidators is a hardwood flooring retail chain based in Toano, Virginia, United States. The publicly traded company has over 300 stores across the United States and Canada, and employs over 1,400 people throughout its supply chain. You can also buy and arrange installation of flooring from their website LumberLiquidators.com. Robert M. Lynch currently serves as CEO, and data suggests the company make over $800 million in yearly revenue. Details: Get 50% off major brand 6mm baltic basswood. Lumber Liquidators was founded by Tom Sullivan in 1993, who worked in the building trade at the time. As the name of the business indicates, Sullivan would buy up or "liquidate" left over wood from building contractors, and sell it on for a profit, from a small facility in Stoughton, Massachusetts. Noticing the rise of home owners wanting hardwood flooring he decided that he would use his wood supplies to provide just that. So in 1996 the company shifted from being just a liquidator and began marketing flooring, which is now its primary revenue generator. The online store went live in 1998. Today, still using the Lumber Liquidators name, the company is the biggest hardwood floor retailer in the country. They went public on the New York Stock Exchange in 2004, and expanded in to Canada in 2010. Lumber Liquidators offer a wide range of solid hardwood, engineering hardwood and various other types of wood, as well as wood-look tile, and laminate & vinyl. BellaWood is also available for those who are looking for a specific type of wood. Bamboo and cork flooring can also be found at Lumber Liquidators – a great material for a dining room or kitchen. Quality laminate and vinyl flooring is on offer, and with the Sale section constantly being updated, you can find some cheaper deals on these materials. Underlay and floor protectors can also be purchased, so if you’re worrying about the upkeep of your new floors, you’ll find everything you need here. Flooring tools, such as air tools and hand tools, can be bought at affordable prices too, so it’s not just all about the flooring itself. Renovating your home can be expensive, and after all, who doesn’t love saving money? At Coupofy, you’ll be able to find the latest Lumber Liquidators coupon codes, which will enable you to get money off whatever you order. 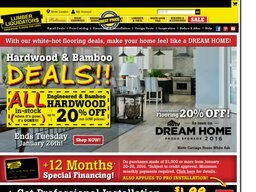 In order to get the discount, head over to the Coupofy website, find your coupon code, click on it and it’ll take you straight to Lumber Liquidators’ website to place your order! You can pay for your online purchases at LumberLiquidators.com using all common debit and credit cards, including Visa, Mastercard, Discover, and American Express. They also offer their own credit/store card, as well as gift cards, which you can buy online and redeem online for all or part of your order. When you place an order at Lumber Liquidators you will be given an estimated delivery date, but this is not set it stone - it may come sooner or later, but you will be notified before it does. Due to the nature of wood flooring deliveries are made by specialist couriers. Therefore the cost of shipping varies depending on the size of your order. This will be full calculated before the online checkout process is complete. Professional installation is offered from $1.99 per square foot of flooring and will be done right after delivery. Uninstalled flooring can be returned within 30 days for an exchange, without any added restocking fee. If however you want a refund you will be charged a 20% fee. Certain exceptions apply, and you can check the website for a full list of these. Flooring also comes with a warranty, meaning if it's defective or becomes damaged within a certain period of time they will replace it.